As content management continues to be central to the success of B2B commerce and sales enablement programs, marketers are increasingly chiming in with their thoughts on how to leverage analytics for better customer engagement. Relying on Data Management Platform is a key ROI-specific investment that CMOs can make in this direction, enabling marketers to target audiences with cross-channel campaigns. That too, real time! Permutive, the leading real-time Data Management Platform for publishers and B2B marketers partnered with Looker, a B2B Data Analytics Platform to introduce Audience Analytics as part of Permutive Looker Block. The Audience Analytics by Permutive Looker Block is a unique solution for publishers looking for real-time analytics and comparisons on their audience segments. It provides instant results on the size of audience segments, including the extent of overlap and new entities. At the Google Cloud NEXT Conference in March, Looker released Looker Blocks to help marketers with critical insights on B2B customer data. Looker Blocks, compatible with Google BigQuery Data Transfer Service, automatically integrates with data captured from AdWords, YouTube, DoubleClick Campaign Manager and DoubleClick for Publishers. 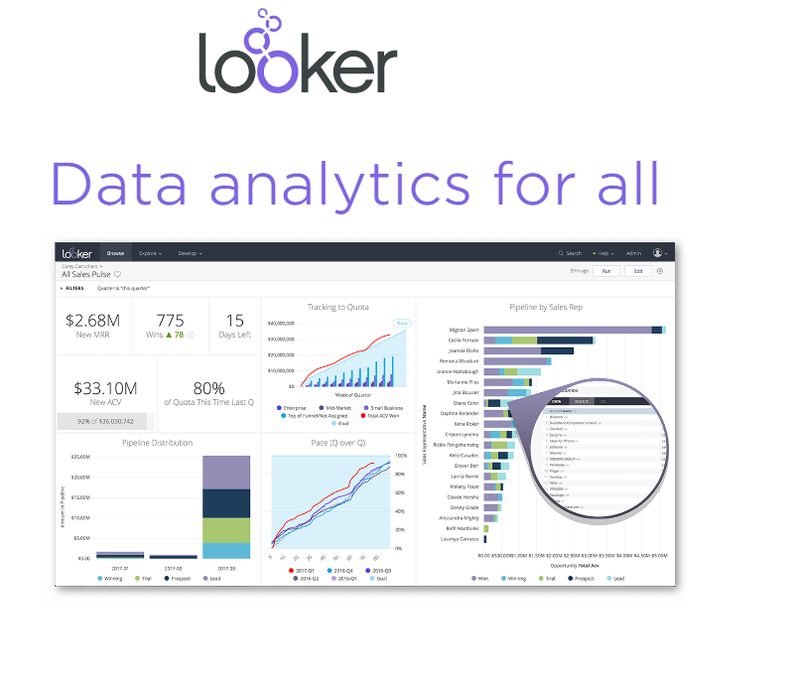 Looker is unique to the B2B data analytics space, partnering with big tech companies like Google, AWS, and Tableau to bring powerful reports and charts that automatically update instantly on the customer’s company website. Looker creates a compelling visualization story, creating easy-to-read reports with incredibly smooth and sophisticated dashboard. The new solution created with Permutive is an extension of Looker’s expertise in creating beautiful data layouts. Looker customers, especially publishers, can easily target their audience segments to optimize ROI and build loyalty, for a post-campaign report. Sales reps can also derive immense value out of the Audience Overlap dashboard for post-campaign sales reporting. Audience Analytics by Permutive Looker Block has three dashboards, by default. The dashboard allows the user to compare any audience profile side-by-side. It includes engagement metrics and can be customized to include metrics on any data you have in Permutive. The dashboard also lets the customer compare audience segments’ page views per session, video completion, gender, page yield and much more. The Audience Overlap dashboard is a quick-action platform. It reports the sequence of events in a chronological order, capturing the overlap (if any) between the audiences segments created within Permutive. An innovative element within the dashboard– The Audience Growth is a high-level summary of your audience segments’ total size that helps publishers understand the total number of unique individuals who have fallen into each audience. Looker is on an accelerated path towards bringing cutting-edge technology to Data Management ecosystem. The five-year-old start-up announced that it has scooped $81.5 million from Google’s parent company Alphabet, making it the most sought-after B2B customer intelligence platform. According to the company, they offer their potential client a trial before they commit to the product, which seems to be working so far.